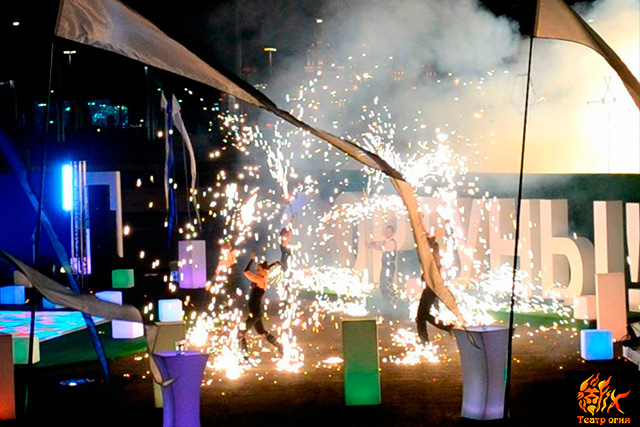 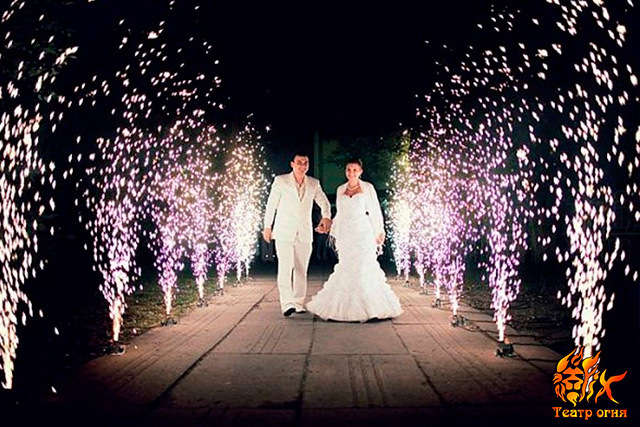 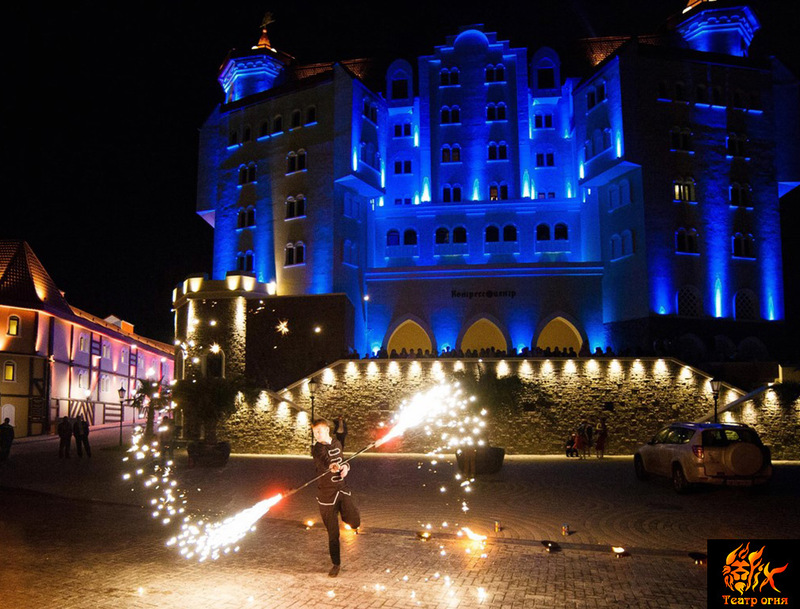 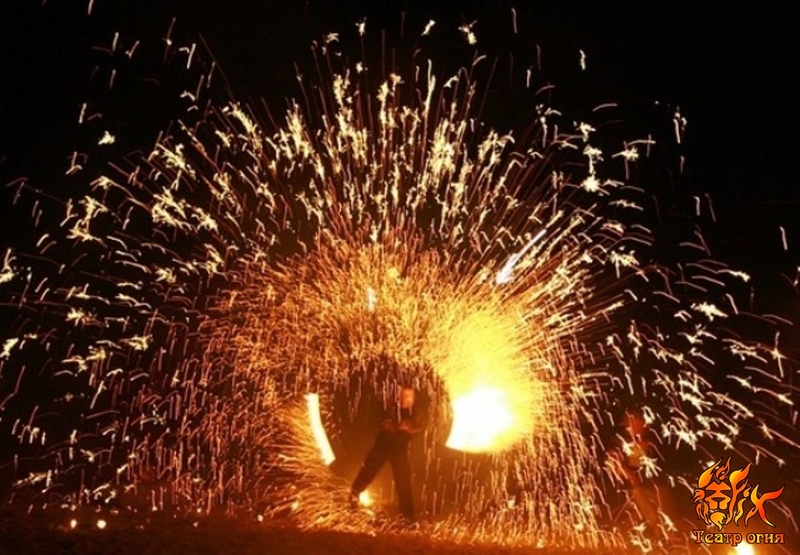 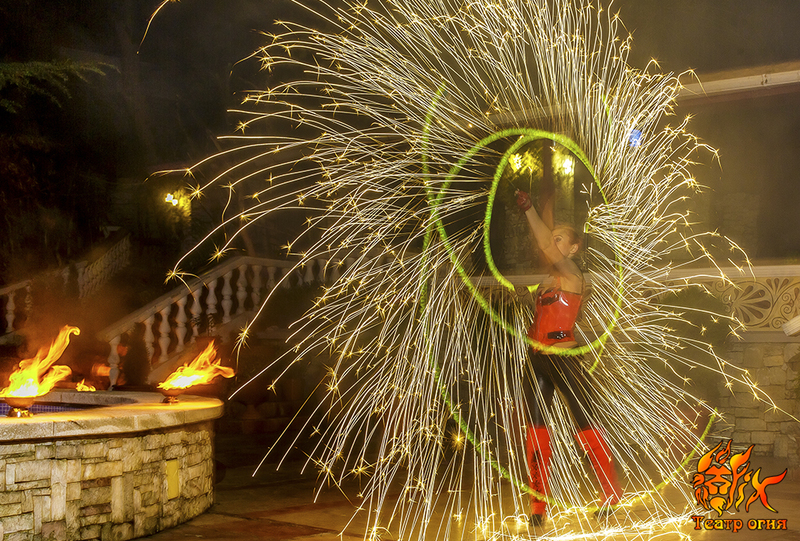 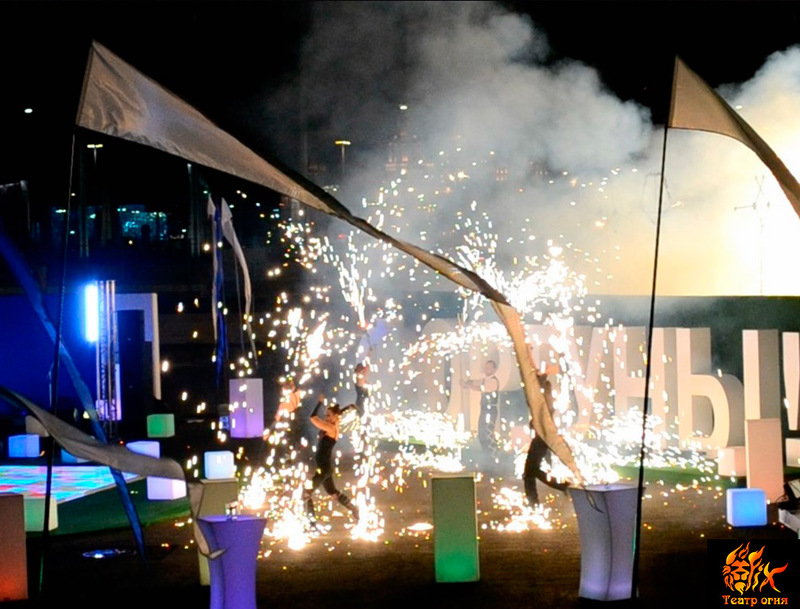 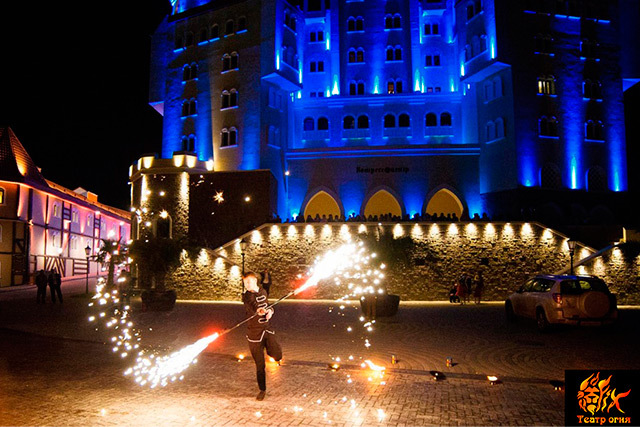 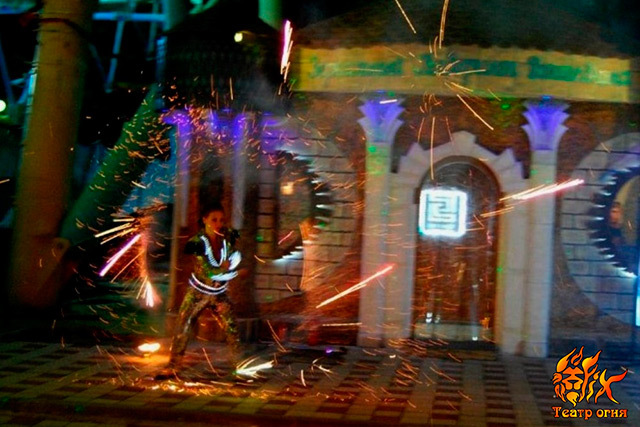 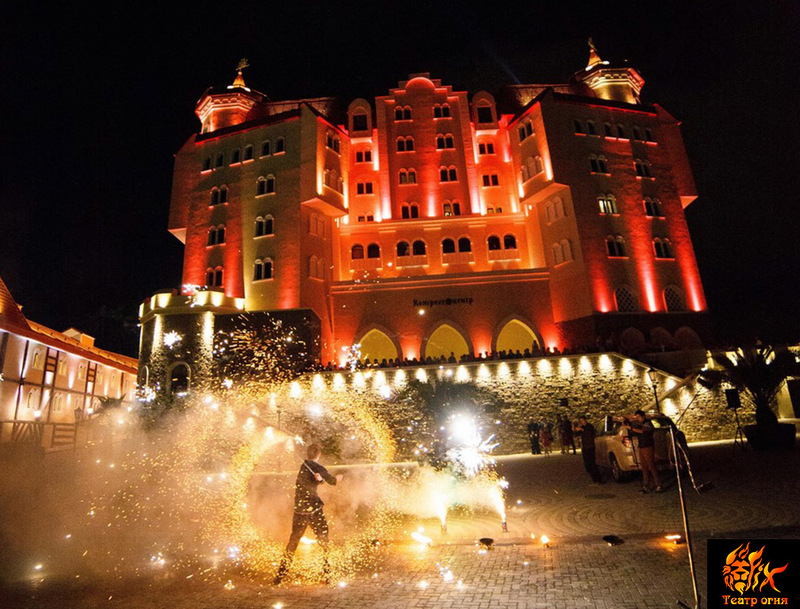 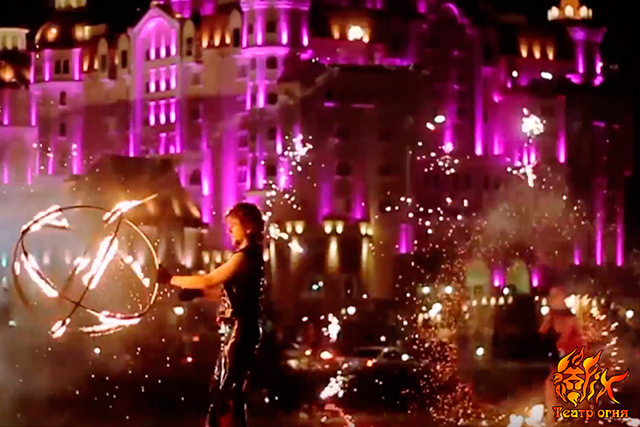 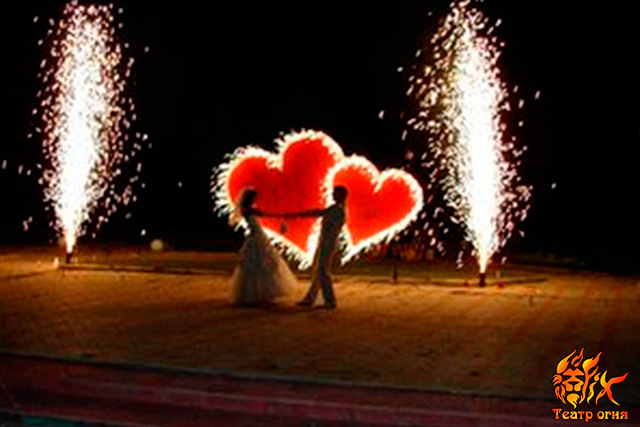 Pyrotechnics Show is the culmination of any performance and event. 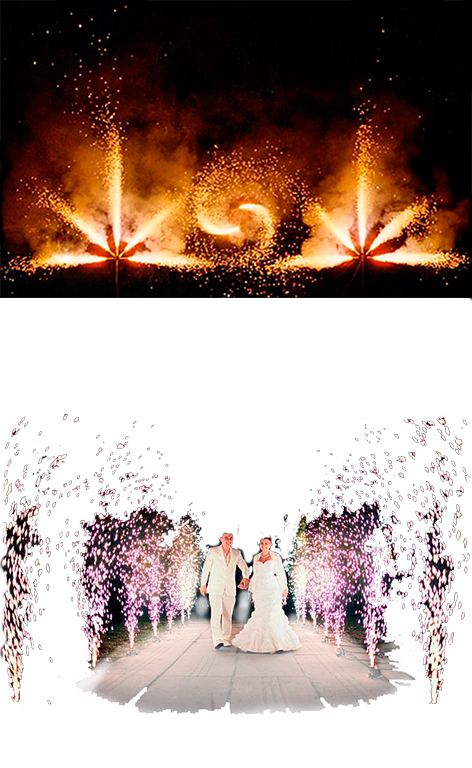 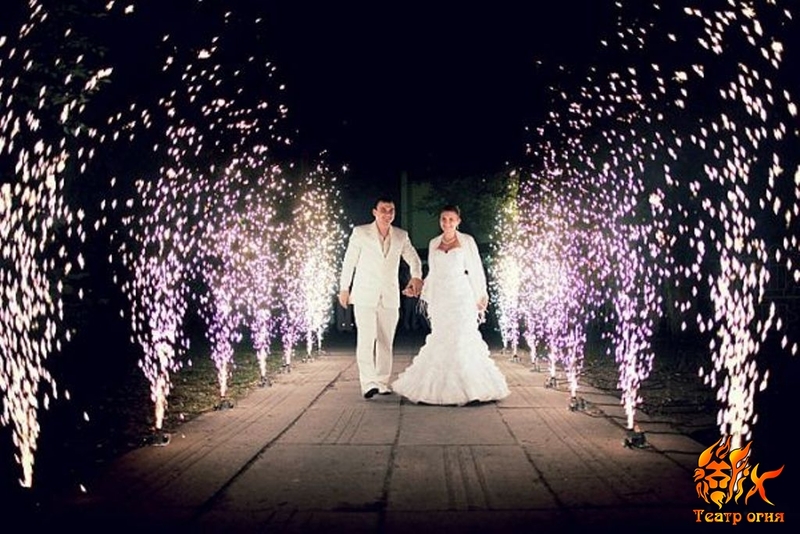 A show of such format is an excellent alternative to large scale fireworks for limited spaces. 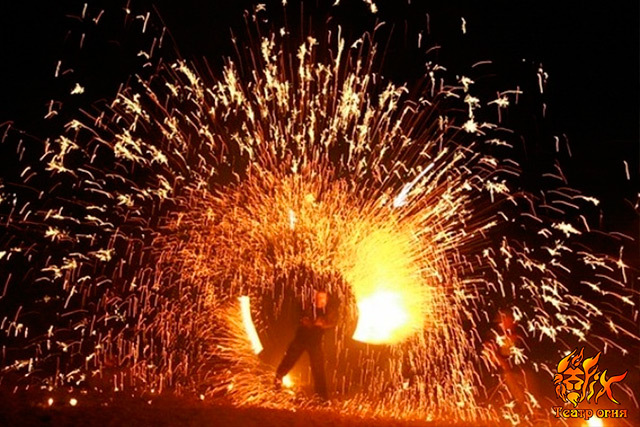 Despite its smaller scale, it is not less of a spectacle. 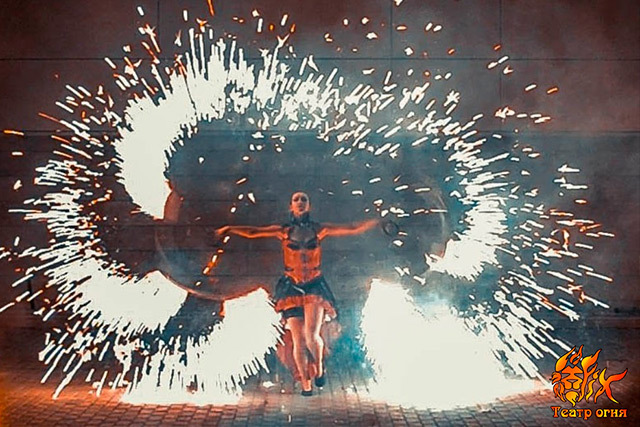 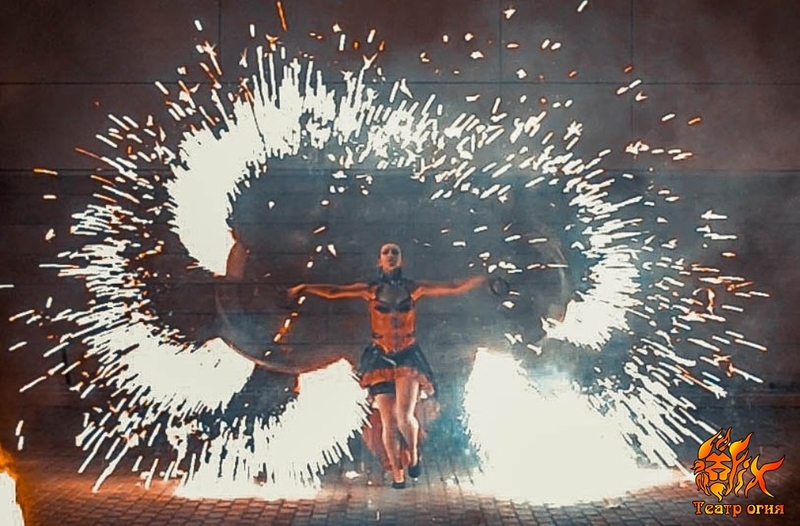 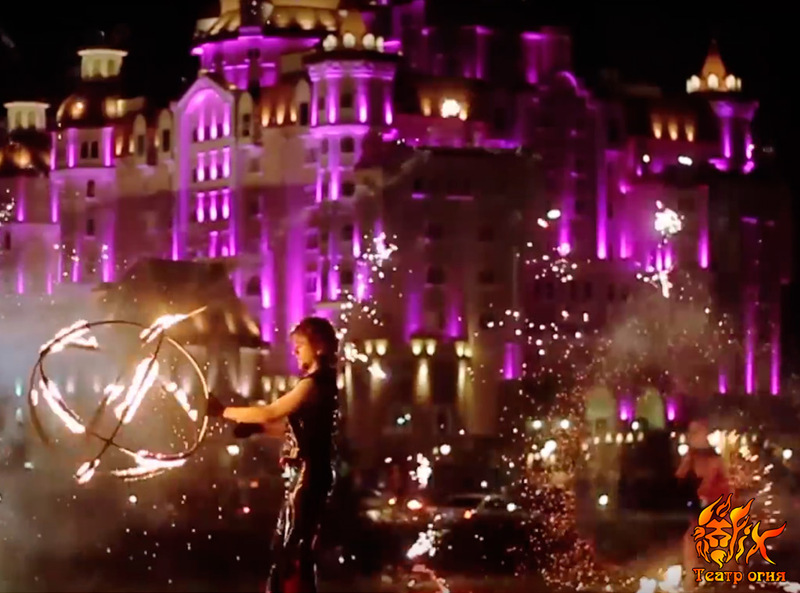 The pyrotechnics show is often the continuation of the fire or light programme, but can also be a standalone presentation. 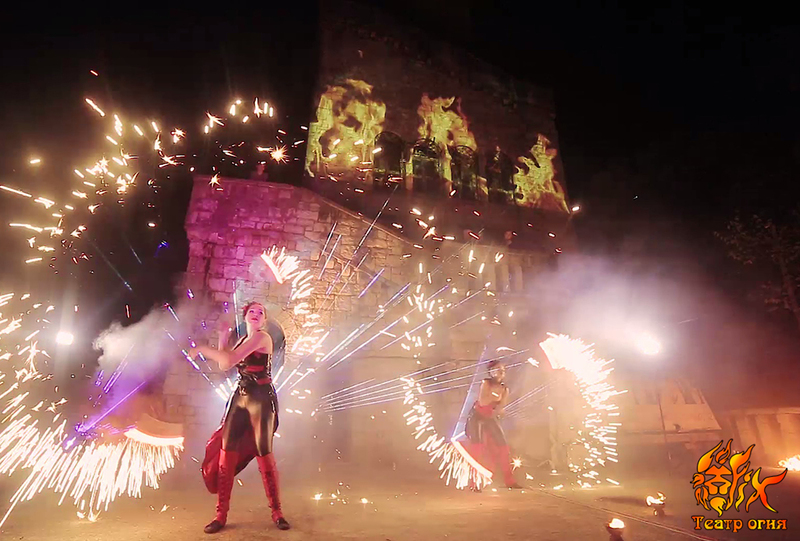 Pyrotechnics show can also employ LED costumes (optional). 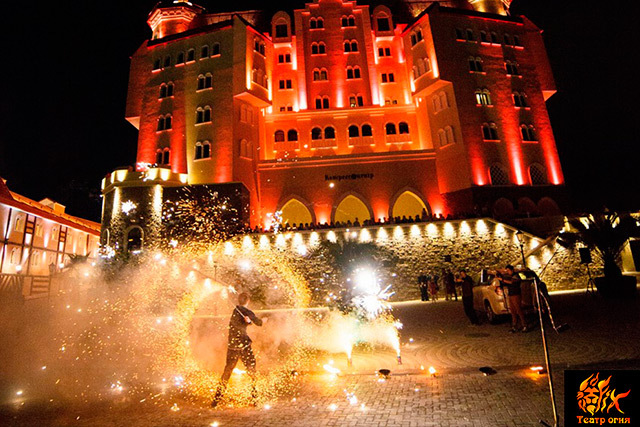 Various installations are available within the format of this show: burning and pyrotechnic shapes, logos, inscriptions (e.g., names of the newlyweds or persons being honored, company names), etc., while high-altitude fireworks are used to put a spectacular finishing touch to the conclusion of the celebration.